Longmont, with its agricultural roots, is quite different from Boulder, its Boulder County neighbor and the county seat. Many consider Longmont a somewhat quieter alternative to Boulder, but with a similar focus on the arts, outdoor recreation, technology and a thriving restaurant scene. 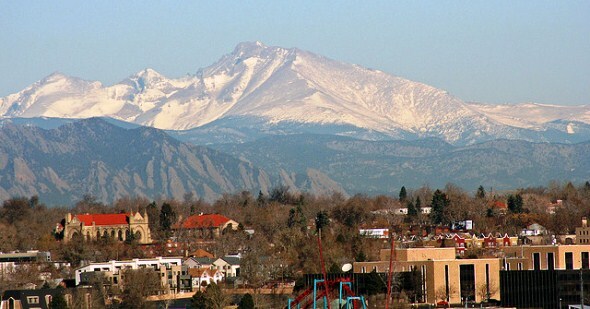 In 2006, Longmont was named an All-American City by the National Civic League. Land area: 21.8 square miles. County: Boulder (Boulder is county seat). Altitude: 4,942 feet above sea level. Population: 600,158 (city) and 2.6 million (metropolitan area) (2010 Census). Land area: 154.9 square miles. County: Denver (Denver is a combined city-county government). Altitude: 5,130 feet above sea level.